through a relationship with the Lord Jesus, then to grow in the Word and become all He has called each of us to be through the power of His Holy Spirit. Jesus came to bring us an abundant life—filled with His grace, forgiveness, healing, joy, and peace. God loves each of us so much! It is our goal to help spread this good news and give people the spiritual tools they need to reign in life, not only for themselves, but so they can learn how to cooperate with the Lord’s purposes and plans in these last days in reaching others with God’s love. From dressy casual to jeans–come as you are. Our service begins with live, heartfelt, contemporary worship where we all join in magnifying Jesus, and experience God’s joy, peace, and presence. True worship is not so much about the style of music, but about expressing one’s heart to God. As we worship Him in spirit and in truth, He fills us with His presence and power. We have age-appropriate classes for nursery-aged children up through 5th grade. Children worship together with their families during the first part of our service, and then are dismissed to their classes during the adult message. Upon your arrival, a friendly usher will have a Child Registration Card for you to fill out If you wish for your child(ren) to participate. We ask that parents accompany their children younger than 5 years of age to their class to sign them in. We believe the Bible is God’s love letter to you and His instruction book for life. Even if you are completely new to the Bible, or if you’ve been a Christian for decades, you’ll be inspired and challenged as you hear the Word taught in a way that you can understand and apply to everyday situations. The anointed teaching will help you reign in life and grow in your walk with the Lord and with others. You’ll see that God has a plan for your life and that He has given you the ability to fulfill it through Jesus Christ and the power of the Holy Spirit. The Lord wants His people whole, well, and victorious. From time to time, you may see the pastors praying for individuals during our services. If you have a specific need, they would be glad to pray for you after any service. At least once a month, we partake of the Lord’s Supper, remembering Jesus’ ultimate sacrifice for us through His death on the cross, celebrating the forgiveness and healing that it brings us when received in faith. We welcome the moving of the Holy Spirit in our services. Members have taken the time to learn how to be used by God in the Gifts of the Spirit (1 Corinthians 12:1-11) in a way that blesses everyone. Join us at our next membership class to find out more. After service, we invite you to have a cup of coffee with us down the hall in the fellowship room. We are a regional church made up of a diverse mix of warm and friendly people from the greater-Waterbury area. We’d all love to meet you! Pastors Chris and Christen have faithfully served the Lord in ministry since 1992. On the very same day that Pastor Chris received Jesus Christ as his Lord and Savior, he was filled with the Holy Spirit and set free from a life of depression. Experienced with both the natural and spiritual sides of ministry, Pastor Chris is equipping believers to reign in life and fulfill God’s plan. Pastor Christen has a heart to encourage women, train up children for the glory of God, and lead people into deeper places of worship where God’s presence and power are experienced. 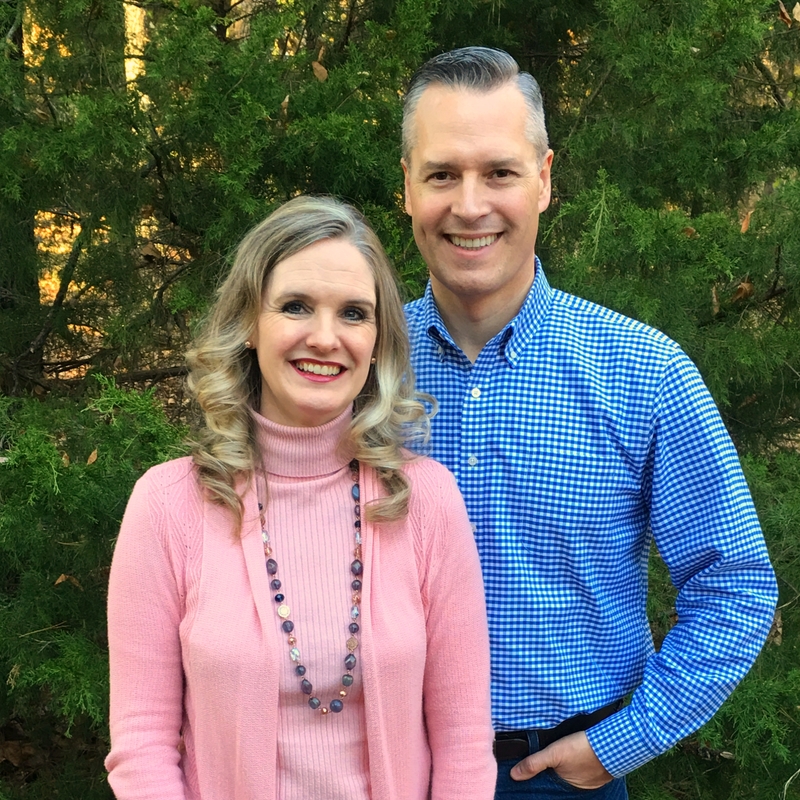 Both are graduates of Rhema Bible Training College in Broken Arrow, OK, and are licensed and ordained through Rhema Ministerial Association International (RMAI). They have two adult children and one teenaged son. Growing: Growing in God, our love for others, and His plan for our lives! Praying: Not just to get our own needs met, but to cooperate with the Spirit of prayer in praying out God’s plans and desires for the body of Christ and for the world in these last days. Teaching: Imparting the life-changing truth of God’s Word and helping individuals see how to walk in it in their daily life. We so believe in the power of God’s word to transform lives that one of our main outreaches is the Word Supply—teaching books and cd’s given free-of-charge that will strengthen, equip, and build faith in our members and minister to specific areas of need. Reaching: Each of us finding our place in the body of Christ and obeying God with our unique gifts and callings, using our talents and abilities not only within the church, but supporting one another as we each go forth into our own world, touching others with the love of Christ and the message of the gospel. Relational: Helping families and individuals have blessed, peaceful, encouraging relationships with others–not just at church–but in the home, school, workplace, and community. And, you don’t have to be perfect or have the perfect family to be loved and accepted here. Whether you’re divorced or married, a single parent or a blended family, in college, in a career, or retired, every person from the youngest to the oldest has value and worth, and there is a place for you in our church family! Word of Life Family Church is an independent nondenominational church, and is also an associate church of Rhema Bible Church in Broken Arrow, OK. As an associate church, Word of Life is financially accountable to its licensing organization Rhema Ministerial Association International in Broken Arrow, OK, and is additionally accountable to its board members Rev. Douglas Mitchell of Westchester Family Church in Mt. Kisco, NY, and Rev. James Lillis of Faith Bible Church in Wallingford, CT. The Bible is the inspired Word of God, the product of holy men of old who spoke and wrote as they were moved by the Holy Spirit. The New Covenant, as recorded in the New Testament, we accept as our infallible guide in matters pertaining to conduct and doctrine (2 Timothy 3:16; 1 Thessalonians 2:13; 2 Peter 1:21). Our God is One, but manifested in three Persons—the Father, the Son, and the Holy Spirit, being coequal (Deuteronomy 6:4; Philippians 2:6). God the Father is greater than all; the Sender of the Word (Logos) and the Begetter (John 14:28; John 16:28; John 1:14). The Son is the Word flesh-covered, the One Begotten, and has existed with the Father from the beginning (John 1:1; John 1:18; John 1:14). The Holy Spirit proceeds forth from both the Father and the Son and is eternal (John 14:16; John 15:26). Man is a created being, made in the likeness and image of God, but through Adam’s transgression and fall, sin came into the world. The Bible says “…all have sinned, and come short of the glory of God,” and “…There is none righteous, no, not one” (Romans 3:10; 3:23). Jesus Christ, the Son of God, was manifested to undo the works of the devil and gave His life and shed His Blood to redeem and restore man back to God (Romans 5:14; 1 John 3:8). Salvation is the gift of God to man, separate from works and the Law, and is made operative by grace through faith in Jesus Christ, producing works acceptable to God (Ephesians 2:8–10). Man’s first step toward salvation is godly sorrow that worketh repentance. The New Birth is necessary to all men, and when experienced, produces eternal life (2 Corinthians 7:10; John 3:3–5; 1 John 5:12). The Baptism in the Holy Ghost and fire is a gift from God as promised by the Lord Jesus Christ to all believers in this dispensation and is received subsequent to the new birth. This experience is accompanied by the initial evidence of speaking in other tongues as the Holy Spirit Himself gives utterance (Matthew 3:11; John 14:16,17; Acts 1:8; Acts 2:38,39; Acts 19:1–7; Acts 2:1–4). The Bible teaches that without holiness no man can see the Lord. We believe in the Doctrine of Sanctification as a definite, yet progressive work of grace, commencing at the time of regeneration and continuing until the consummation of salvation at Christ’s return (Hebrews 12:14; 1 Thessalonians 5:23; 2 Peter 3:18; 2 Corinthians 3:18; Philippians 3:12–14; 1 Corinthians 1:30). Healing is for the physical ills of the human body and is wrought by the power of God through the prayer of faith, and by the laying on of hands. It is provided for in the atonement of Christ, and is the privilege of every member of the Church today (James 5:14,15; Mark 16:18; Isaiah 53:4,5; Matthew 8:17; 1 Peter 2:24). The angels said to Jesus’ disciples, “…This same Jesus, which is taken up from you into heaven, shall so come in like manner as ye have seen him go into heaven.” His coming is imminent. When He comes, “…The dead in Christ shall rise first: Then we which are alive and remain shall be caught up together with them in the clouds to meet the Lord in the air…” (Acts 1:11; 1 Thessalonians 4:16,17). Following the Tribulation, He shall return to earth as King of kings, and Lord of lords, and together with His saints, who shall be kings and priests, He shall reign a thousand years (Revelation 5:10; 20:6). The one who physically dies in his sins without accepting Christ is hopelessly and eternally lost in the lake of fire and, therefore, has no further opportunity of hearing the Gospel or repenting. The lake of fire is literal. The terms “eternal” and “everlasting,” used in describing the duration of the punishment of the damned in the lake of fire, carry the same thought and meaning of endless existence as used in denoting the duration of joy and ecstasy of saints in the Presence of God (Hebrews 9:27; Revelation 19-20).